I am a qualified Hypnotic Birthing Practitioner having trained in the Easibirthing method of hypnobirthing. A lot of Mums-to-be are fearful of birth. Just imagine how wonderful it would be to be able to be totally 'in control' of your pain during labour in the knowledge that you know exactly what is going on in your body as you prepare for your birth. I offer classes for pregnant Mums to be and their birthing partners from when the Mum-to-be is about 24-26 weeks. These classes are 1.30 hrs in duration and last for six weeks. I will teach you how to trigger a total state of relaxation and self hypnosis; you will learn about the way your body is changing and getting ready for labour; the important role your partner will play in your birth experience and how much breathing exercises will help you. If your baby is breach or back to back, then I will show you various ways of helping the baby return to the correct birthing position. In other words, you will feel totally empowered to have the kind of birth you are wanting, whilst involving your midwife. The easibirthing method empowers you to have the birth you desire. 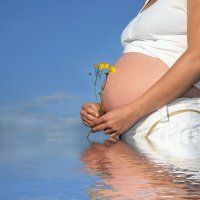 So whether you are planning a home birth or birthing in hospital, this training is designed to suit you, your birthing partner and, of course, your midwife. For more information and Birth Stories visit http://www.easibirthing.co.uk.